Fr. Flanery comes from St. Louis, Missouri. His family came to Tradition at approximately the time that Father was born. Fr. Flanery attended grade school at Queen of the Holy Rosary, which kept him in close proximity with priests and the sacraments. 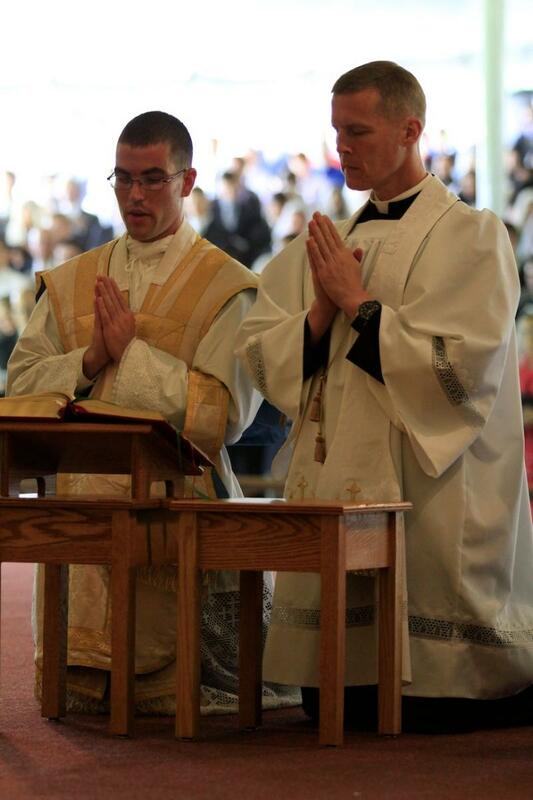 He then spent his last three years of high school at Notre Dame de La Salette Boys Academy. During those years at La Salette, he was deeply impressed with the necessity of following God’s will as manifested by one’s superiors, instead of doing one’s own will. Over the summers, he gleaned valuable experience from his summer jobs, coming in contact with many people less fortunate than himself, people without the faith. He reflected on the terrible emptiness of a life in which one does not seek joy in God, but tries vainly to extract it from creatures. 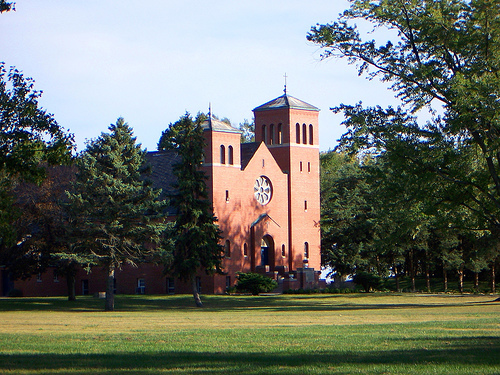 Our mother priory is the Notre Dame de La SaLette Boys Academy in Georgetown IL. We take-up a second collection on the third Sunday of each month to help with their expenses in servicing us. Please be generous in their support. God bless you for your faithful generosity. St. Joseph Catholc Church, on Broadway St. in Greenwood, IN, was founded in 1977. 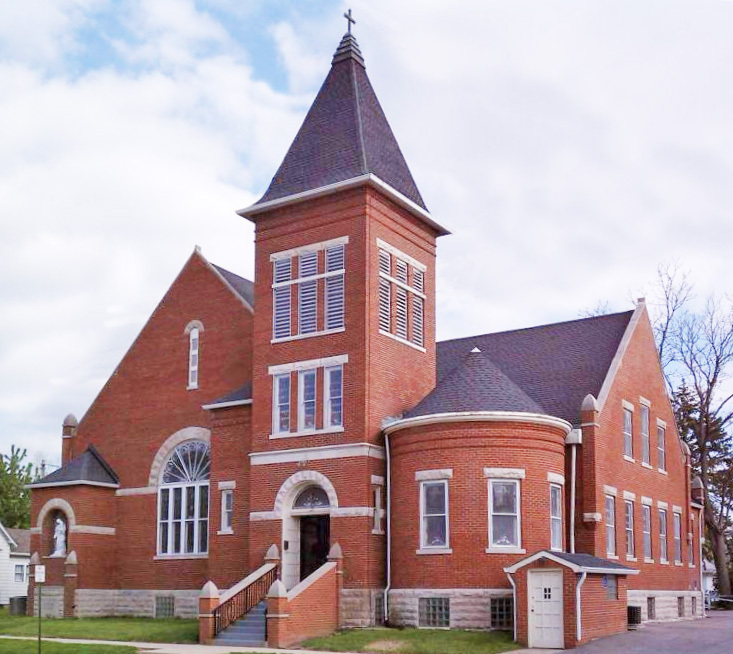 The Traditional Mass and Sacraments, of the Holy Roman Catholic Church are offered, at the Greenwood chapel, for faithful Catholics from all over the country. On Sunday's and Holy Days of Obligation, all males of first communion age and older should wear a dress shirt and tie. In addition, teenage males and older should also wear an appropriate jacket. Ladies should have their heads covered and are encouraged to wear an appropriate dress. Work-type clothing, such as denim dresses, jeans, work labeled shirts, work boots, etc. should not be worn at Sunday Mass. Shorts, athletic wear, lettered or sleeveless shirts, or immodest or revealing clothing is inappropriate at Mass. Chapel veils are available in both the front and rear vestibules.